ARUA – Vipers will be hoping they can keep up with pace setters KCCA FC when the Kitende based side travels away to Onduparaka on Tuesday. The Venoms go into the game second on the table, four points behind the Kasasiros with only 10 games to play in the season. With the League winding down, Nam Ouma’s side have no room for error or else they risk falling off the pace. “We will play for a positive result, says Ouma ahead of the game. “We have to be at our best to get the best result. “My team has great potential so am confident. Ouma comes into this match after the loss of his father however he has since put aside that misery to concentrate on picking maximum points against the Caterpillars. Dan Sserunkuma could return to the starting lineup after earning a deserved rest in the 3-0 triumph over Bright Stars last Friday. However, it will not be a walk in the park for last season’s top scorer after Steven Mukwala, who replaced him in last week’s game scored the opener. Joseph Janjali makes his way back to the squad after sitting out of the last home game. Yayo Lutimba and Moses Waiswa are again dropped and will not feature in the game. 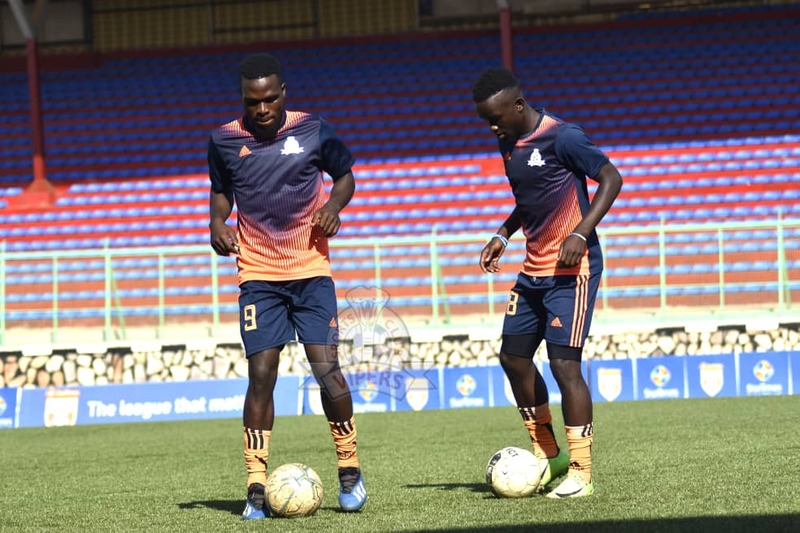 Geofrey Wasswa and Livingstone Mulondo who were both on the score sheet in the first round fixture between the two sides at Kitende are unavailable through injuries. Coming up against Onduparaka, Vipers face a side that has just returned to winning ways after going seven games minus victory. Last week, the Caterpillars defeated Mbarara City 2-1 away frim home, a result that leaves them in 6th on the log going into Match-Day 21. The Caterpillars will be hoping to snap a four game winless run against Vipers who they last beat in their (Onduparaka) debut season back in 2016. This will be the 7th meeting between Vipers and Onduparaka. In the first 6, Vipers have won 4, drawn one and lost only one of those meetings. Going into the game, the Venoms have won both of their last two meetings with the Caterpillars scoring 5 goals without letting in any at the other end. In the reverse fixture last season, Vipers defeated Onduparaka 2-0 before defeating them 3-0 in the first game this season. Onduparaka go into Tuesday’s clash having won only one of their last 8 League games (D4 L3). At home, the Arua based side have not lost any of their last 7 games, winning three and drawing the other 4. However, they should be worried as three of those four draws have coming in the last three games, all ending 0-0. For Vipers, they head into the game having lost only one of their last 37 League game (W25 D11). On the road, Ouma’s side have won 10 of their last 17 games, drawing 7 and losing none.